A long time Vermont artist, I am fairly new to corporate art consulting, but I do know how it’s done. The best way is the NRG way, from the ground up. 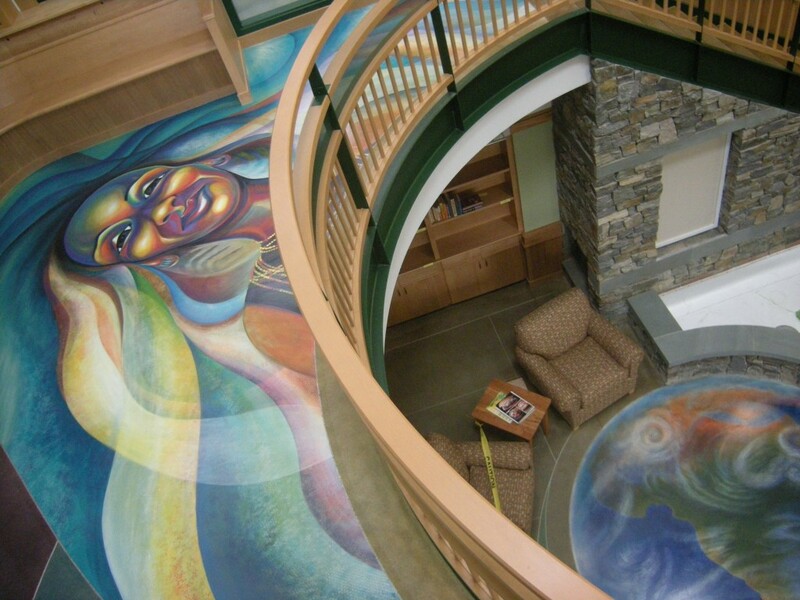 NRG Systems, Inc., a leading edge wind energy technology company in Hinesburg, Vermont, hired me over a period of ten years (to date) to design and construct several permanent fine art installations at their corporate headquarters. Over a decade their complex has doubled in size. They commissioned me to create new fine art pieces each time they planned new construction. A successful, forward thinking corporation, NRG utilizes art as part of its broad commitment to bolster morale, productivity, creativity and communication among its workforce. Years of working through projects with NRG have produced a mutual trust, a knowledge of each others’ strengths, and a feel for their tastes and priorities. NRG invited me to join a team of architects, engineers, and employees from the beginning of the planning process prior to construction of each of their buildings. My own design work developed in concert with all visual and technical elements of the project. As a result, the final product, art and building, were conceived simultaneously and the art became an integral part of the building. This is an ideal situation for a commissioned artist, one that rarely happens because art is brought in as an afterthought. This entry was posted on Sunday, March 6th, 2011 at 10:33 pm	and is filed under Corporate Art. You can follow any responses to this entry through the RSS 2.0 feed. You can leave a response, or trackback from your own site.